One year on from the Davies report, there is still plenty to do to increase the number of women in senior positions, Amanda Mackenzie argues. Commissioned by the UK Government, Lord Davies published a report and 10 recommendations in February 2011 to tackle the fact that there are so few women on British boards. The Davies report set a target to double the number of women on the FTSE 100 boards by 2015. Year one has seen the largest single rise in the percentage of women ever and the number of all-male boards down to just 10 from more than double that a year ago. While the absolute number is still just 15.6, the heartening number is that the run rate of appointments is 26% and that will see the target of 25 per cent of women making up FTSE 100 boards being achieved. However, before we get too excited, still half of the FTSE 250 have no women on their boards at all. It's a tricky subject. It brings out resentment in some men who can't see why women should have special treatment, who want business-case proof that this will benefit boards. It brings out resentment in some women who think they got there on their own merits, so why shouldn't others? It's creating further resentment in some men as apparently no board appointment will look at a white, middle-class, middle-aged chap at the moment. And if we don't make enough progress quickly, then the spectre of European legislation hangs over us and we'll be forced into having quotas. Women will resent this as they will feel like token females on the board. I'm exhausted thinking about it. Lord Davies put together 10 recommendations that, together, would radically change the constituency of our boards and at the root of which lies a cultural change in the way we think and act. The basis is that any diversity of a group will lead to better outcomes in decision-making. A McKinsey & Company study showed that diversity on a company board will lead to an average 42% higher growth. So key to year two is a continuation of the plans in place, an increase in momentum but also a drive to examine the number of women we have coming through in senior positions who will form the executives and boards of the future. Advertising is one of those industries that is significantly more diverse in its employment gene pool than most industries. That said, despite probably leading the way, there is still less gender balance at executive director level on a marketing services company board. It's always tough writing about this subject, as I don't want to come over as a radical feminist. I like men a lot and, in my career, I've benefited from the phenomenal support of men as equally as women. These people believed in me – often when I didn't – and gave me ambition that I didn't dare to have. The fact is many women need this more than men. Women do tend to lack confidence and ambition, but that is by no means to be confused with a lack of ability – it just means that they need more encouragement. That's before one adds to the mix the trials of children, childcare costs, parental care etc. If you have never thought about this subject before, it's probably because the world you have experienced so far hasn't yet presented these issues, or you are so confident that it never crossed your mind. So I ask something of all managers reading this: if you have women coming through with potential, nurture it like mad. If you have colleagues who lack confidence, help them feel good. If you are one of those women who knows they thrive with the right encouragement, never miss an opportunity. As employees, to paraphrase the saying, we get the company we deserve. Make sure your company is doing all it can to think and act diversely, as it will be more successful for it. Actively think about the diversity in your team and ask questions of your management and board if you don't think the leadership is sufficiently balanced. A piece of positive action you could take is to attend Wacl's fabled all-women training course called Gather. For years now, this sell-out course has been a tonic extraordinaire to help women who are emerging as leaders. Gather 2012 (theme: Future Proofing for Success) takes place at Kings Place in London on 16 May. By the time you read this, it may have sold out. Which is in itself a great sign. See more at www.wacl.info/gather. 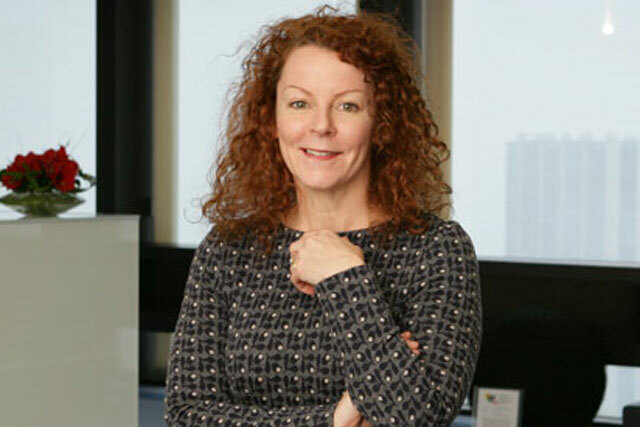 Amanda Mackenzie is the chief marketing and communications officer at Aviva. She is also the president of the Marketing Society and a member of Lord Davies' steering group. Have agencies really moved on from the Mad Men years?